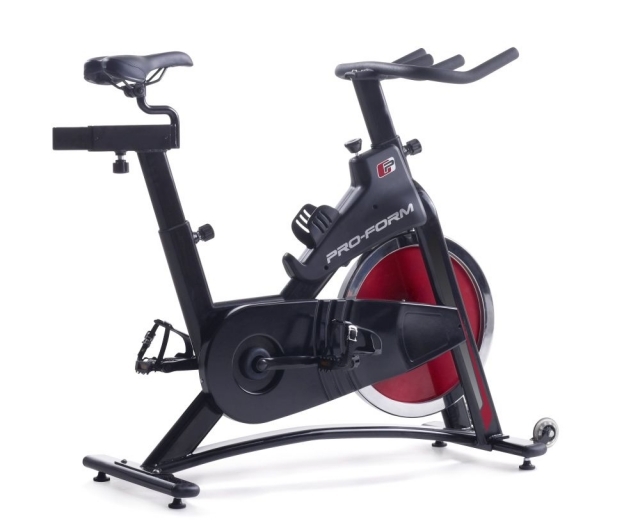 Whether you are taking your first intrepid steps on your fitness journey or are already a workout warrior, the ProForm 250 SPX Indoor Cycle is a fantastic, low-price product. Built around a solid 18kg flywheel, with adjustable frame, variable resistance levels and Quick-Stop system you’ll be reaching your fitness goals in no time. So let’s take a closer look at this good value bike. The designers at ProForm know how important it is for users to have a correct stance, particularly if you are a beginner. As such, they have included adjustable, non-slip handlebars and a unique two-sided pedal for comfort and ease. The pedals are also built with toe cages to ensure that your feet will not slip out of position. Finally, the seat is adjustable so that you can keep a straight back during a workout which will ease the pressure in your lower back. For those of you that do particularly suffer from back pain, it might be worth considering a recumbent bike as many offer lumbar support. Our suggestions would include The NordicTrack Elite R110 and NordicTrack Commercial VR21. Due to the lower price tag, you might be wondering whether the bike itself is sturdy, Well let us put your mind at rest because it has some solid mechanics! The 250 SPX encases an 18kg flywheel which ensures a smooth ride at all times. It also means that even if you are pushing your performance hard the bike doesn’t jolt or wobble during use. Impressively, this flywheel can be classed as above average for the price tag. The smooth resistance comes from the Natural Wool Felt system. There are varying levels of intensity which will support beginners and satisfy advanced users. The resistance level is altered manually by simply twisting the easy reach dial under the console. 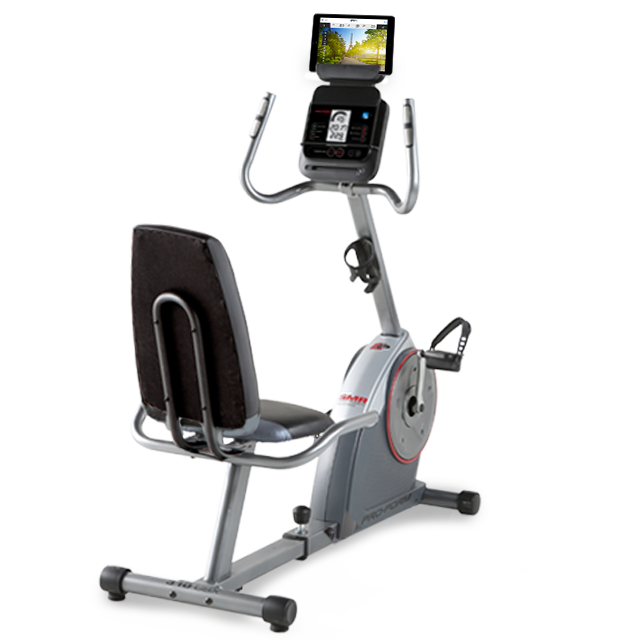 More expensive models such as ProForm 225 CSX Upright Exercise Bike offer electronic ways to alter the resistance. Overall, if you are looking for a solid, well-made bike that you can jump on and start riding then the ProForm 250 SPX Indoor Cycle might be your ideal choice. It may not offer you top of the range technology or entertainment options but it will help you get fit using the variable resistance levels. A fantastic, easy use option for all at home and commercial gyms.